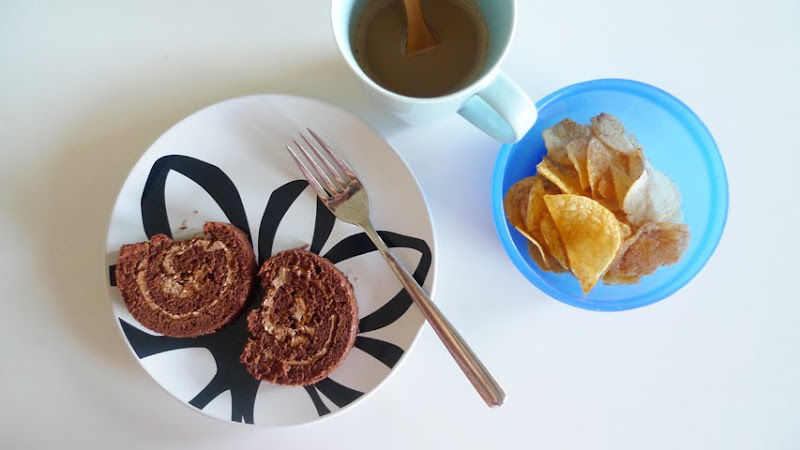 Chocolate swiss roll, potato chips and coffee. XL is one of my ‘oldest’ friends – not in terms of age, but of the number of years we’ve known each other. She was my classmate in Primary one, which means we knew each other when we were 7 years old. So, x years minus 7... Unbelievable!